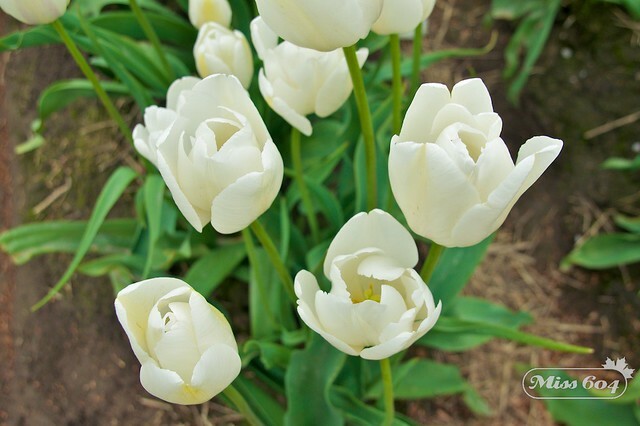 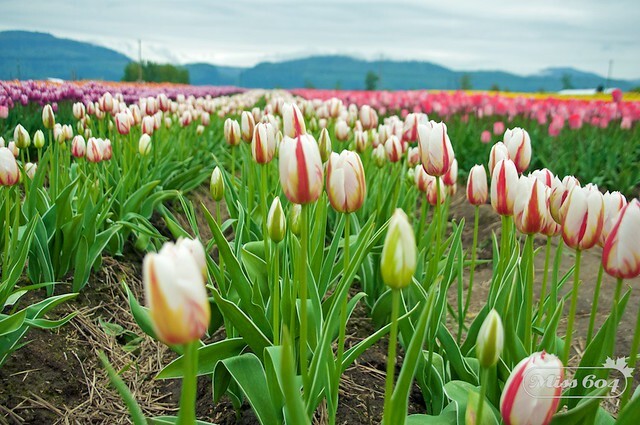 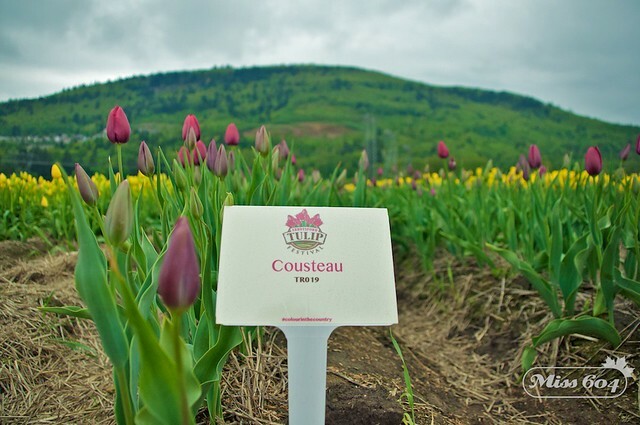 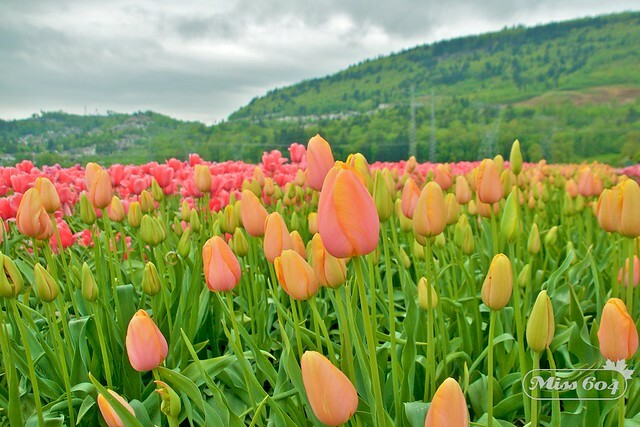 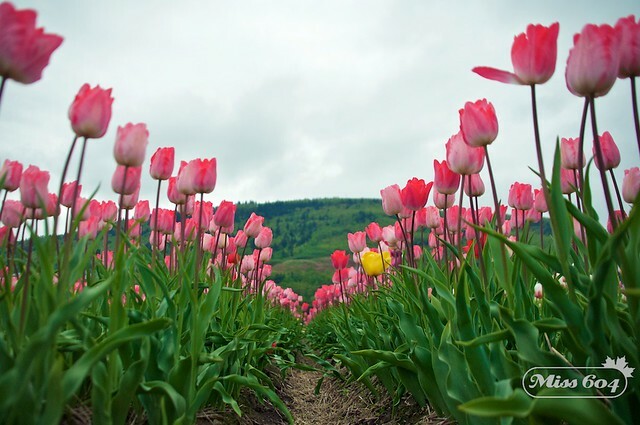 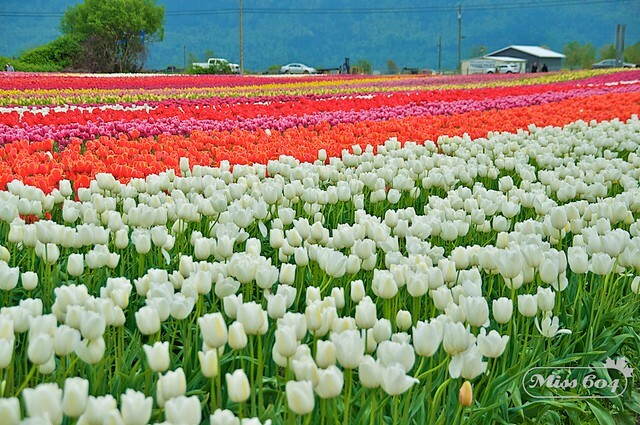 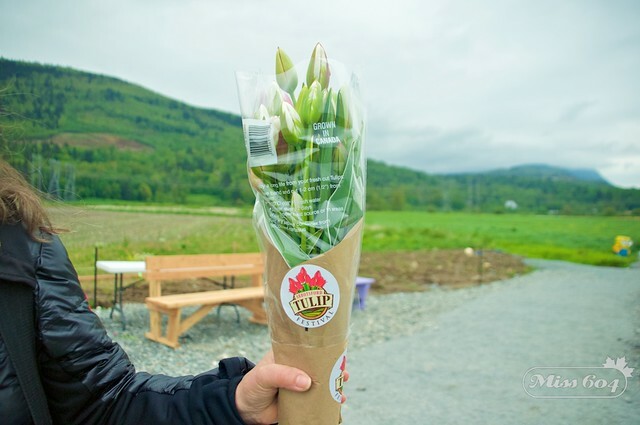 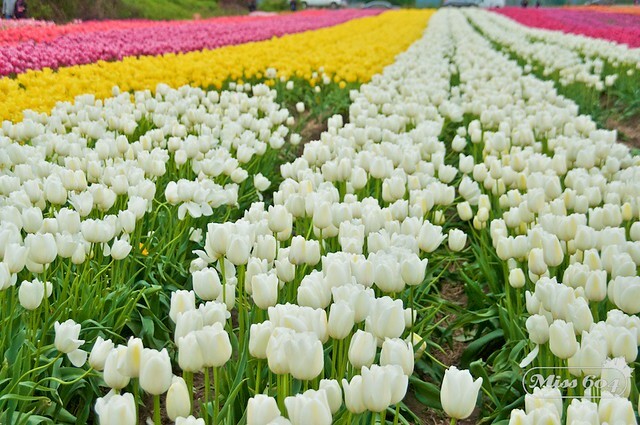 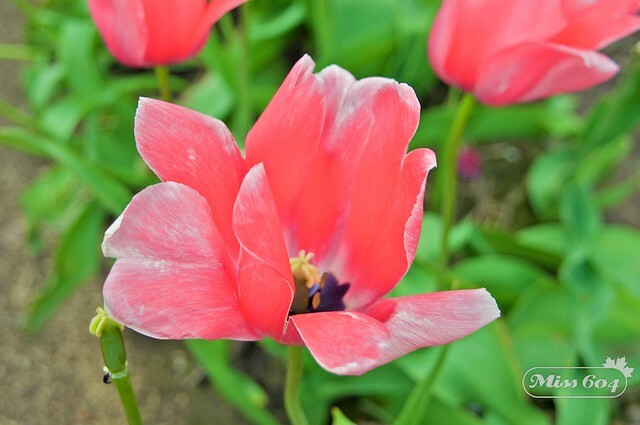 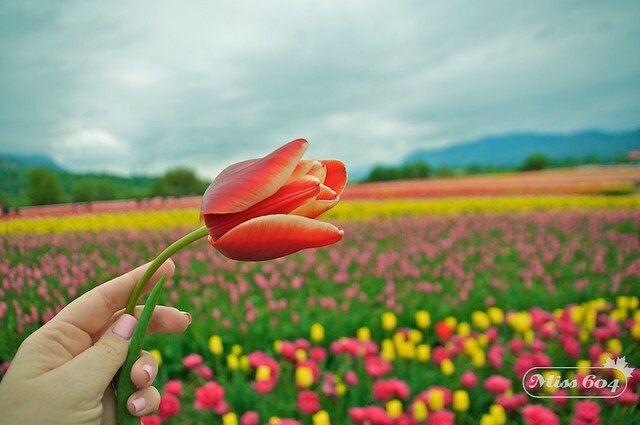 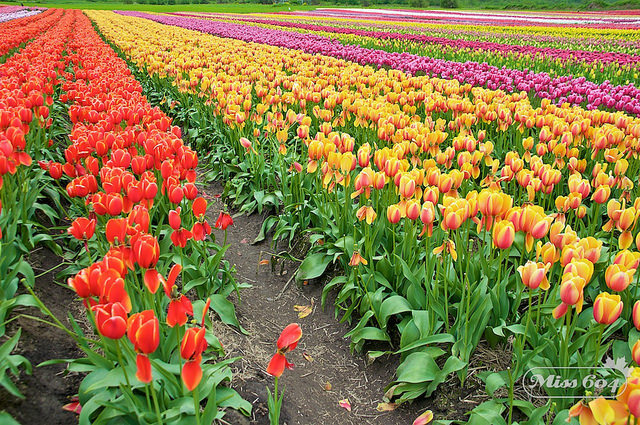 The Abbotsford Tulip Festival is in full bloom, an hour east of Vancouver along Highway 1. 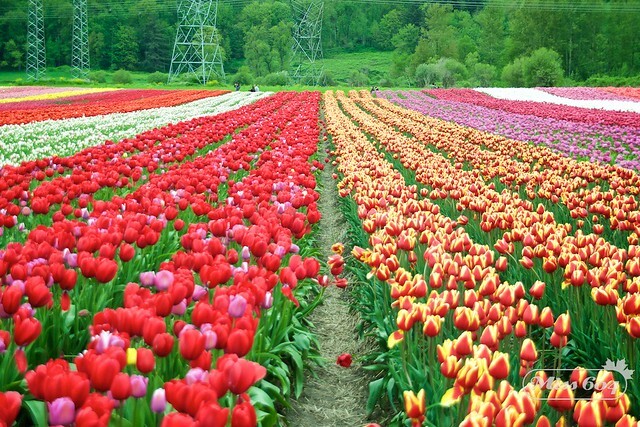 I had the opportunity to visit yesterday, and the spectacularly colourful array of 2.5 million petals is definitely worth witnessing. 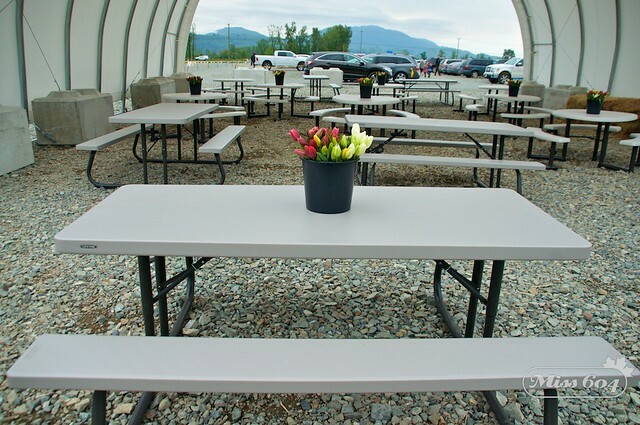 Just off the main parking lot you’ll find a picnic area and family games, along with a tulip stand where you can purchase some bunches. 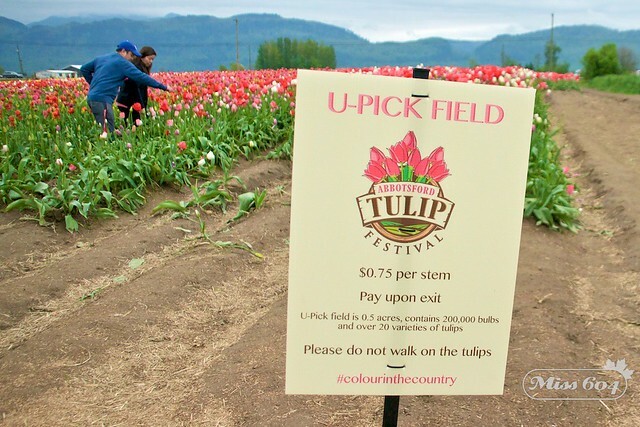 Walk a mulch path out to the 10 acre fields, where there are plenty of photo ops along the way. 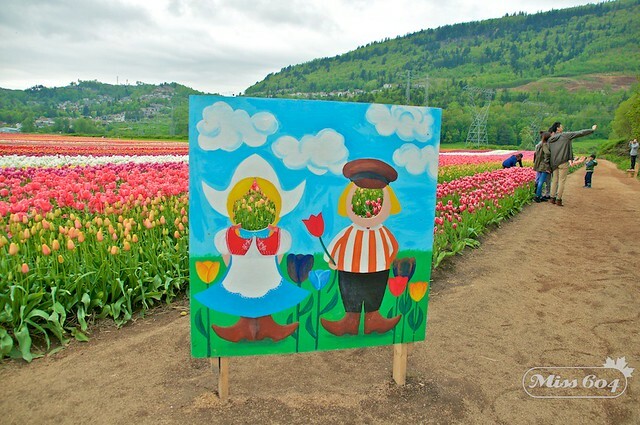 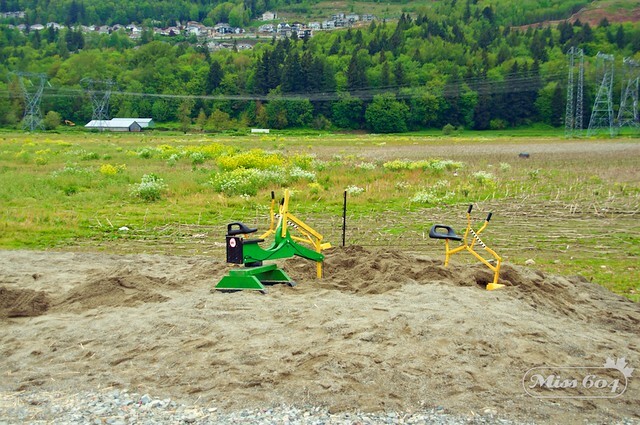 The main field is for visiting and photo-taking, the smaller one on the right, closer to the highway, is the U-Pick patch. 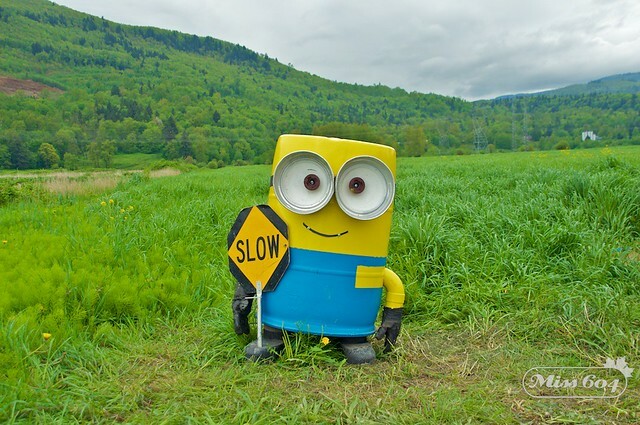 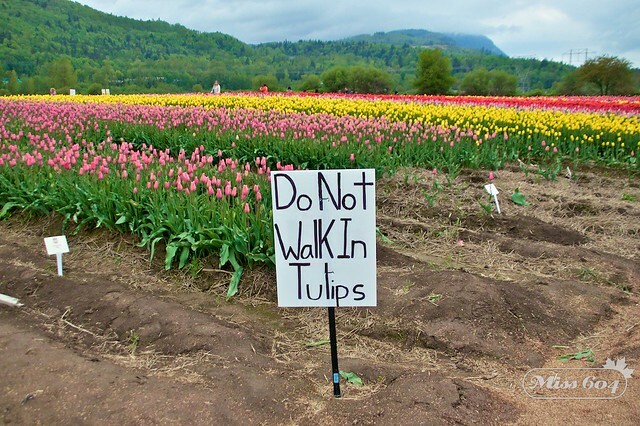 These fields are clearly marked. 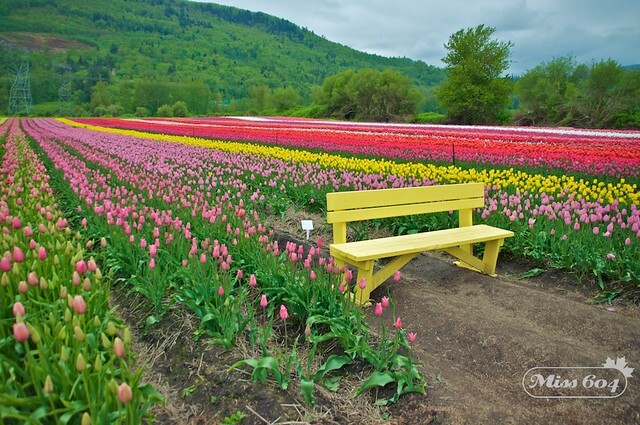 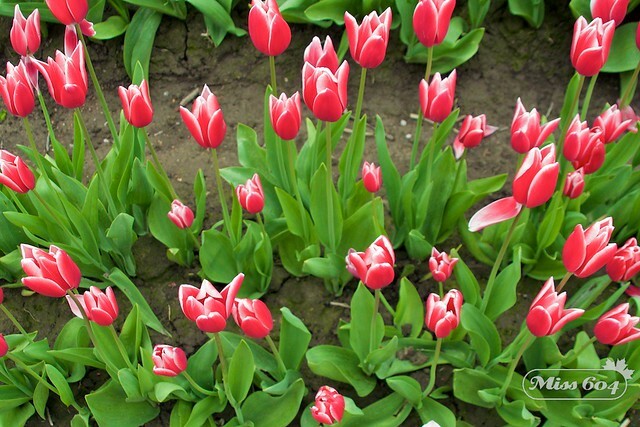 Young and old pose for photos on benches or in front of the rows that boast tulips with names like Sweetheart, Snowboard, Burgundy Lace, Margarita, Gander’s Rhapsody, and Conqueror. 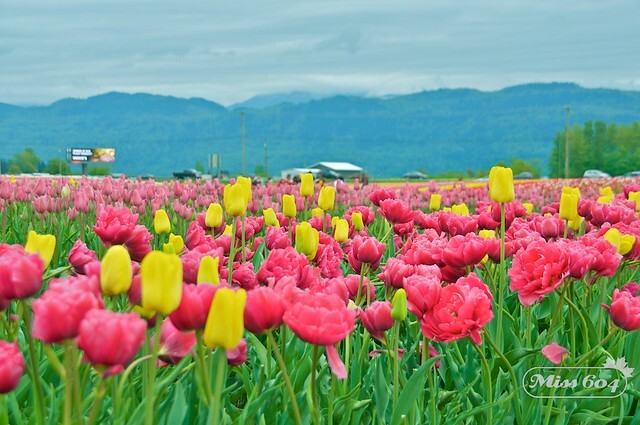 On a clear day, you can get some amazing photos with a snow-capped Mount Baker in the background, but be sure to visit soon though, since these ephemeral beauties will only be around until May 1st, or until the last petal hits the dirt. 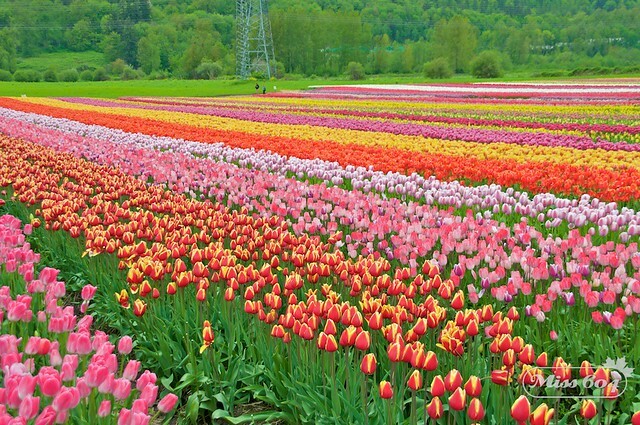 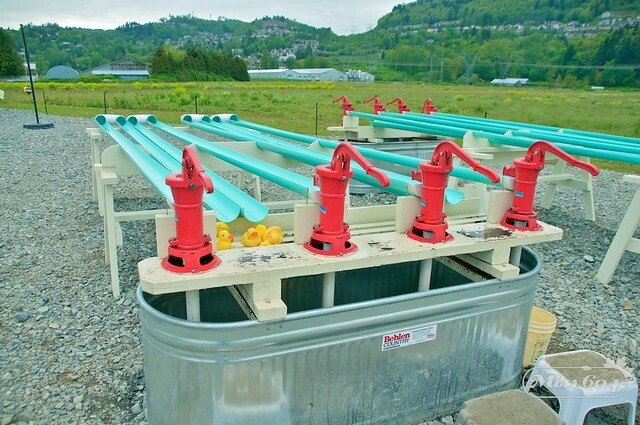 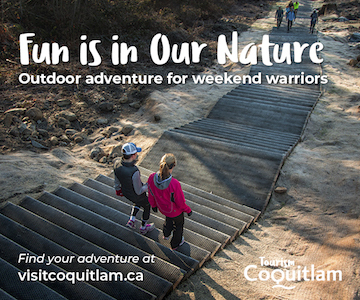 Take the Whatcom Road exit in Abbotsford, off of Highway 1, which is at Castle Fun Park if you’re coming from the west. 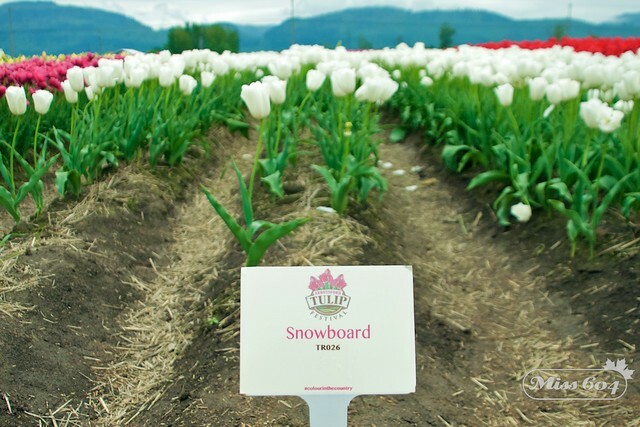 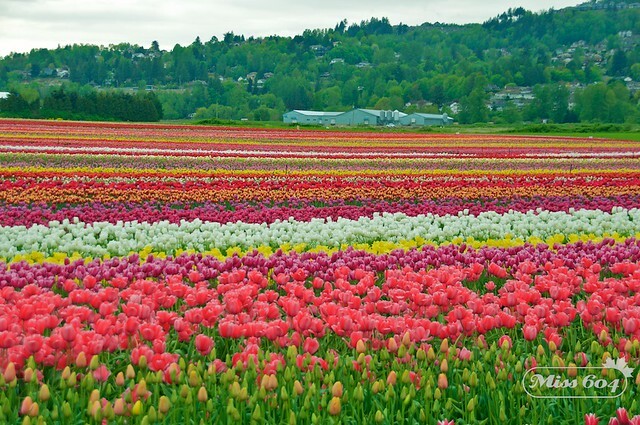 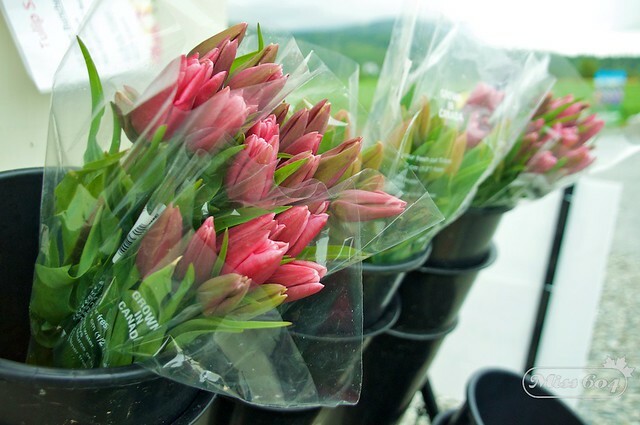 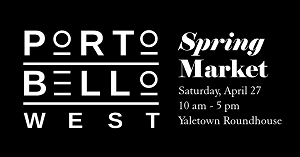 The Abbotsford Tulip Festival has ample parking for over 1000 vehicles.